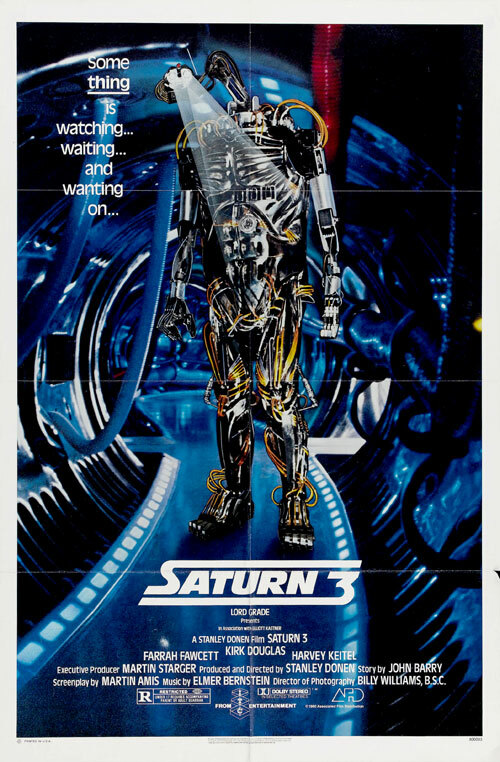 I know that it's not a popular opinion, but I actually find Stanley Donen's Saturn 3 to be one of the most interesting flicks of the Space: 1970 era. 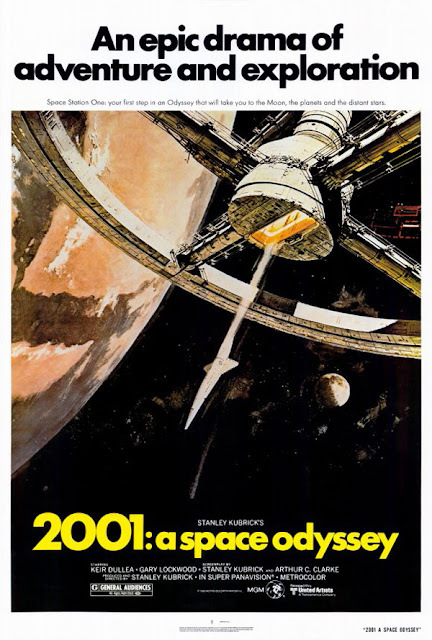 I'm not going to make any great claims as to its subjective quality, but for all its faults, there are some truly fascinating things going on in the movie. 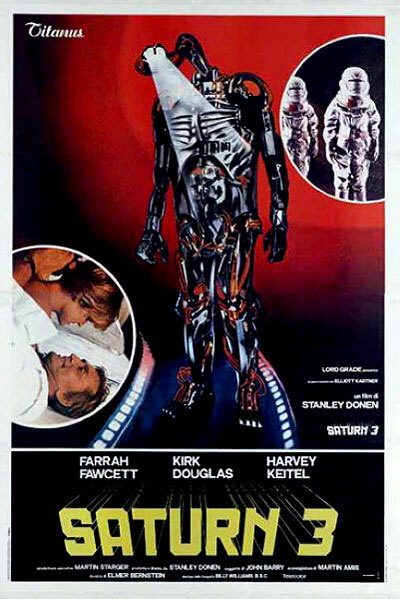 The production design, by the late John Barry (not to be confused with the composer of the same name) is astounding; the sets, space suits, spaceships, and, especially, the killer robot Hector, are just beautiful late 70s sci-fi creations. 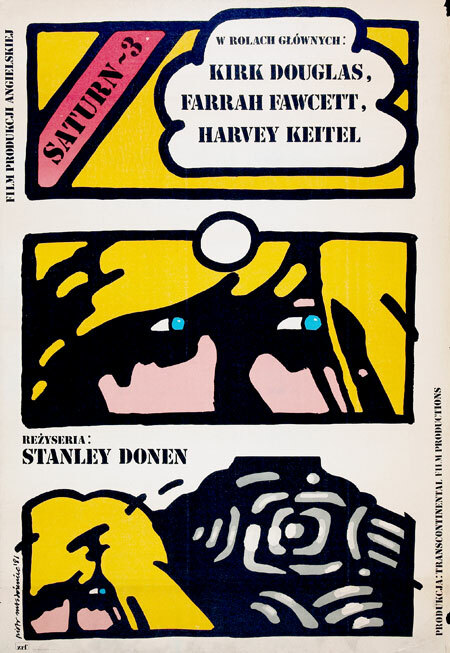 The Elmer Bernstein score is also quite good. 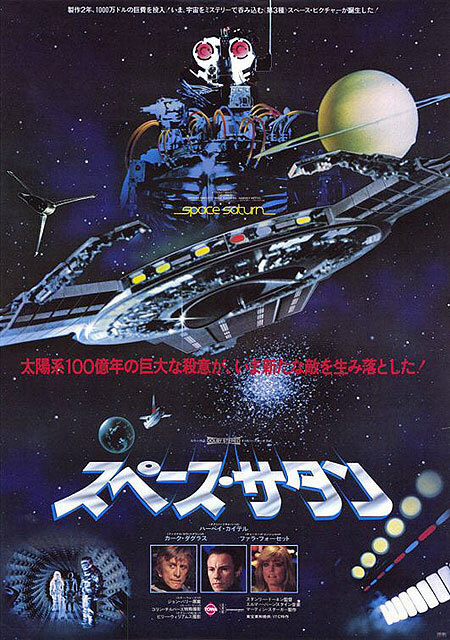 Here are a couple of original 1982 TV spots for the second - and still the best, IMO - Star Trek feature film: The Wrath of Khan. Enjoy! The first two of these novels were published in 1997 by Pocket Books in both hardcover and paperback, and co-written by fantasy & horror writer Christopher Golden. Later books were co-written with other authors and published by iBooks. The initial novel in the cycle was called Armageddon, and featured this great cover painting by artist Luis Royo. I've recently completed reading Armageddon and its immediate sequel, Warhawk, and am beginning on the third volume (co-written by Stan Timmons), Resurrection. I plan on writing up my reactions to these three books shortly. The extraordinary Stella Star. Because sometimes, you just need to see Caroline Munro in a leather space bikini, am I right? 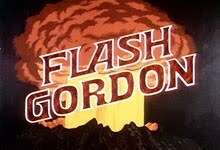 Back in 1980, around the time of the Dino DeLaurentis/Mike Hodges Flash Gordon feature film and the Filmation Flash Gordon animated series, Tempo Books published a six-volume series of original Flash Gordon novels, written by aviation/military thriller author David Hagberg. These books are not, specifically, tie-ins with movie or cartoon, nor do they adapt any stories from the long-running newspaper comic strip. They are large-scale, futuristic space operas that involve Flash, Dale and Dr. Zarkov in an intergalactic conflict between ancient civilizations called the Citadels. 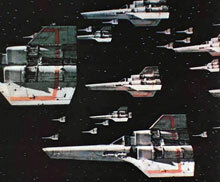 The titles of the six volumes are: Massacre in The 22nd Century, War of The Citadels, Crisis on Citadel II, Forces from The Federation, Citadels Under Attack and Citadels on Earth. I didn't buy the books when they originally came out - although I had seen them in the bookstore, and very much wanted to. 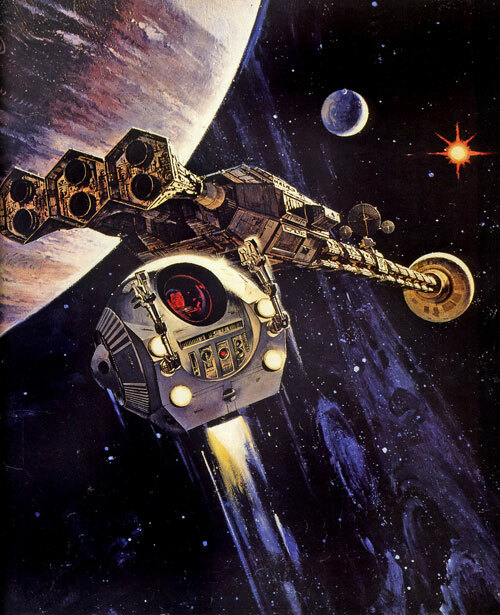 I actually only started collecting them in the last year or so, thanks to some of you Space: 1970 readers, who gave me the name of the uncredited author and helped me track down copies online. 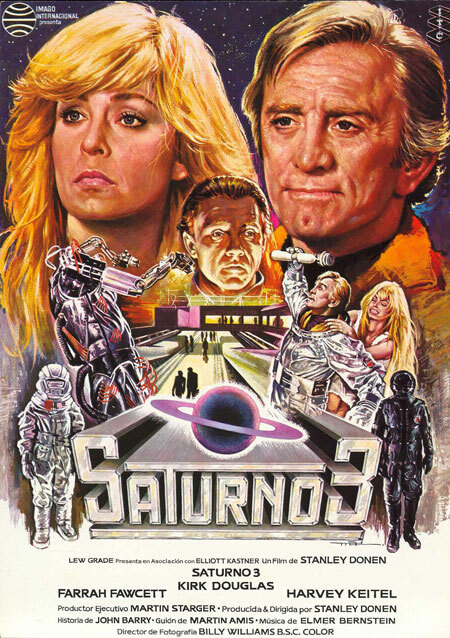 They're okay space opera, and enjoyable enough, even though Hagberg has tweaked the characters considerably (Dale is now Zarkov's niece, for instance), and completely ignores the comic strip backstory. 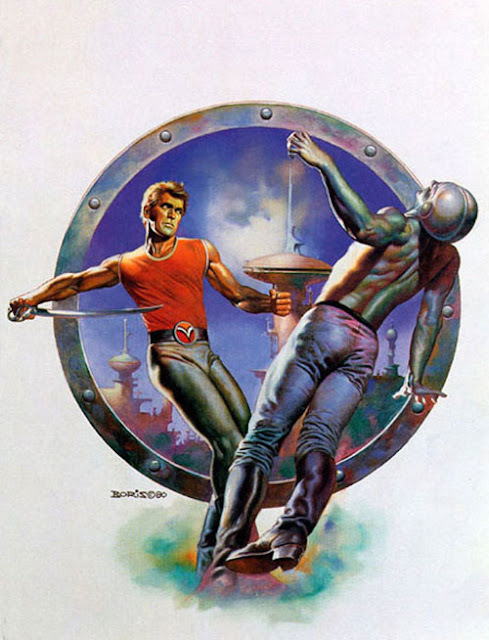 There's no Mongo or Ming, and the stories are set in a cold, culturally sterile, highly-automated 22nd century, with our heroes - initially - operating as special agents for the Earth government. 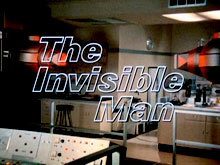 Oddly, the characters and set-up (though not the scope of the story) most resembles the 1950s TV incarnation of the property, which starred model/actor Steve Holland as Flash, who was portrayed as an agent of the Intergalactic Bureau of Investigation along with Zarkov and Dale. Like I said, they're entertaining novels and fairly well-written. 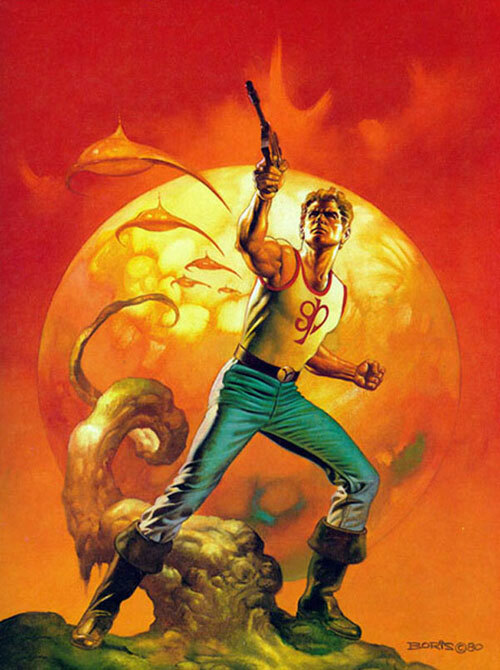 But the best thing about them are the cover paintings, the first four of which were the work of acclaimed fantasy artist Boris Vallejo. 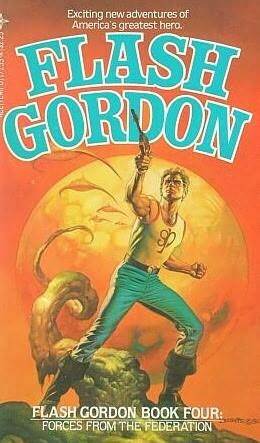 The covers have a great, classic pulp sci-fi flavor, and, interestingly, costume Flash in tank tops reminiscent of those given to Sam J. Jones to wear in the DeLaurentis film. 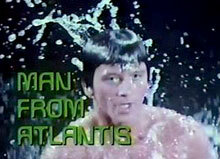 I also find it notable that Vallejo's Flash resembles the aforementioned Steve Holland from the 50s show. Holland was a popular artist's model and posed for many, many paperback cover artists throughout the years, well into the 90s. 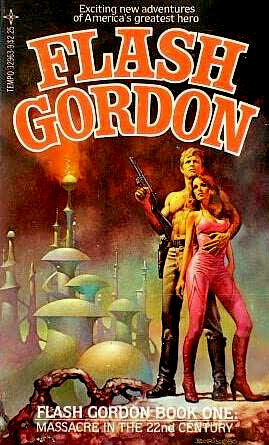 I wonder if Vallejo employed him for these covers? According to the artist's book, Fantasy Art Techniques, he usually hired bodybuilders to model for him - or used himself for a model - so I suppose it's a possiblity. 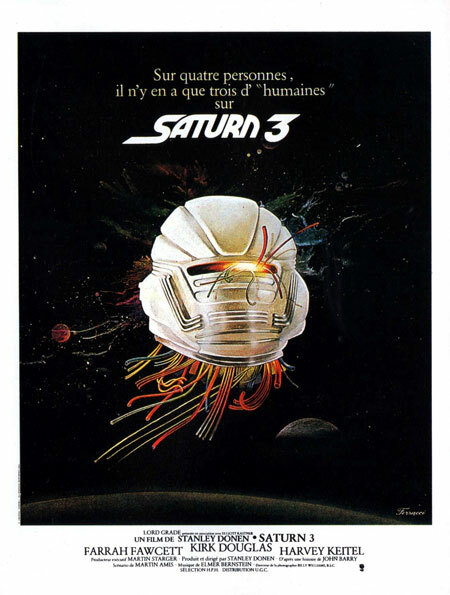 Although this is - according to the YouTube poster - from 1984, and a little bit past my usual Space: 1970 chronological cut-off, I just had to post this television commercial for Starlog magazine. 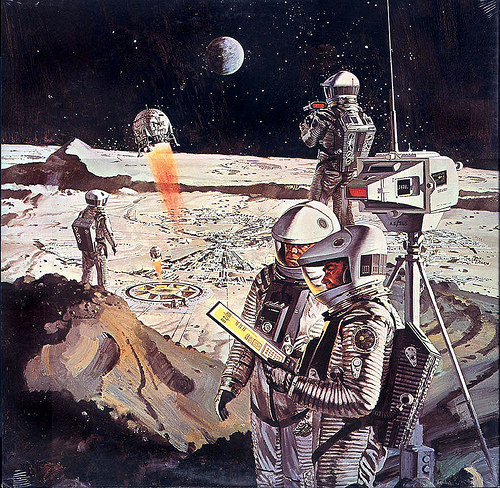 Back in the mid-1970's, being a science fiction fan just was not cool. 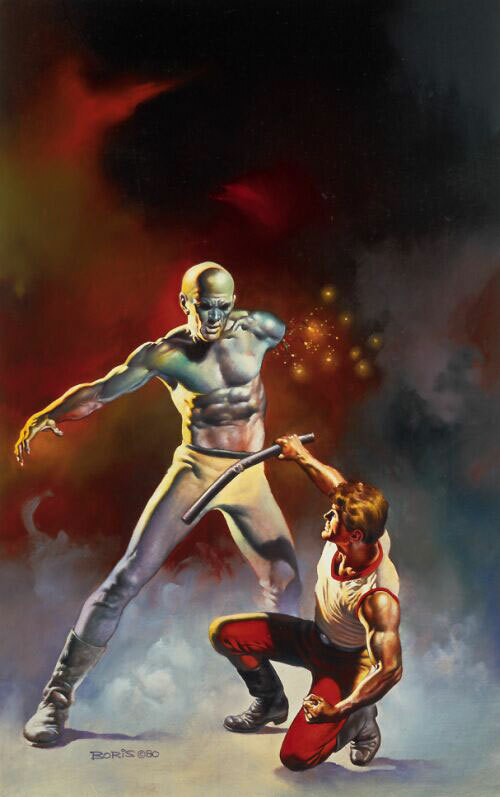 Prior to Star Wars, anyone admitting to liking science fiction – at least in the rural Maine schools I attended – was subject to ridicule and occasional physical abuse. 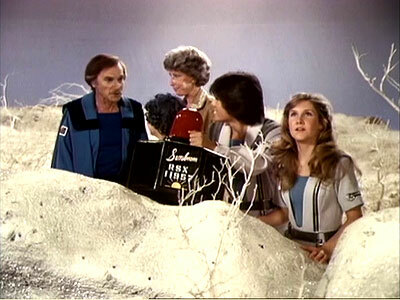 As far as the adults in my life, they were all practical New England yankees who had no time for or thoughts to spare for make-believe fantasy stuff about spaceships and aliens. 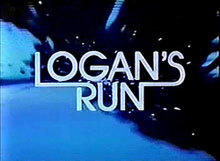 I felt very much alone in my obsession, hiding my James Blish and Alan Dean Foster Star Trek paperback adaptations from my schoolmates, and keeping my thoughts about the short-lived Planet of the Apes and Logan's Run (both of which I loved as a eleven year-old) TV shows to myself. 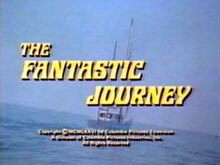 But sometime around 1976, while browsing the comic book shelves at the local Mr. Paperback bookstore while my mother shopped for groceries next door – the same Mr. Paperback store where I had bought most of my Blish Trek books – I spotted a colorful painting of Kirk and Spock on the magazine shelf above the comics. Normally those shelves were off-limits to me, but certainly this particular magazine had to be okay – it was Star Trek. Better – it was Starlog. 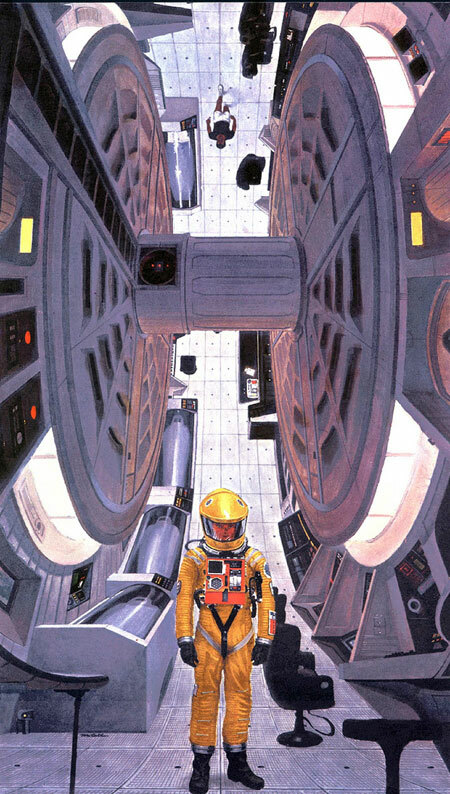 I was a regular reader from that day until around 1990, when I moved on to magazines like Cinefantastique and Filmfax. For many years, the magazine was my best friend in a way; my only link to the unknown others around the country who shared my love for the fantastic. 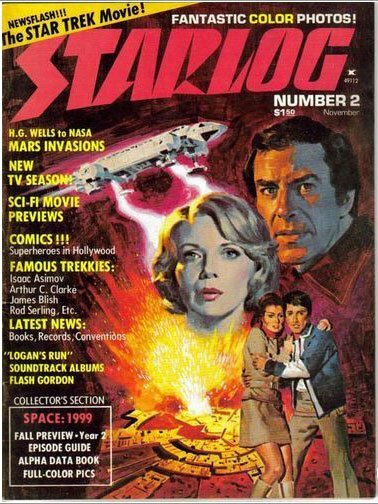 As Famous Monsters of Filmland was to the "Monster Kids" of the 60's, Starlog was my lifeline in the 70's and 80's. 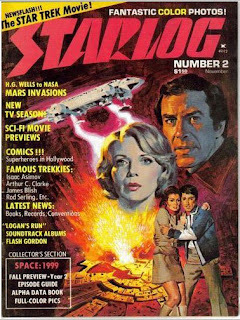 Not only did Starlog cover all the major science fiction blockbusters from Star Wars on, they also covered B-movies, classic films, current and vintage TV shows. 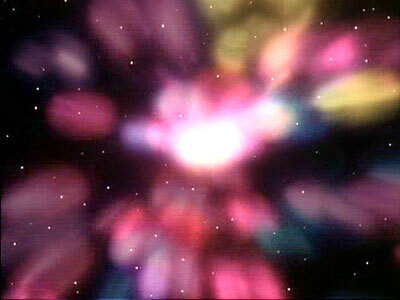 They interviewed not only stars, but writers, directors, authors and – especially – special effects wizards. 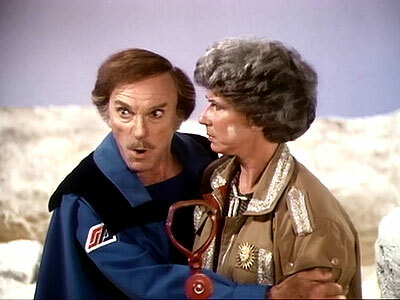 The writers never wrote down to the readers and they opened my eyes to all the wonders of science fiction media. 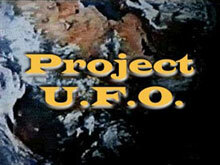 Even now, I will occasionally stumble across something on DVD that I've never seen before but recognize because Starlog covered it 20 years ago. And then I usually buy it. 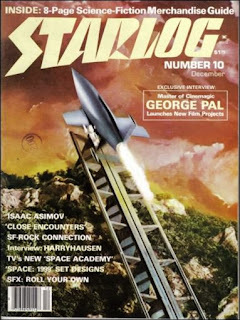 It was Starlog that introduced me to shows and movies of the decades before my birth – shows like The Invaders, Voyage to the Bottom of the Sea, The Prisoner, and movies like This Island Earth, The Time Machine, The Incredible Shrinking Man, Buck Rogers and the Ray Harryhausen classics. Because I read about them in the pages of the magazine, I sought them all out, and I can't imagine my life without having experienced and enjoyed them. 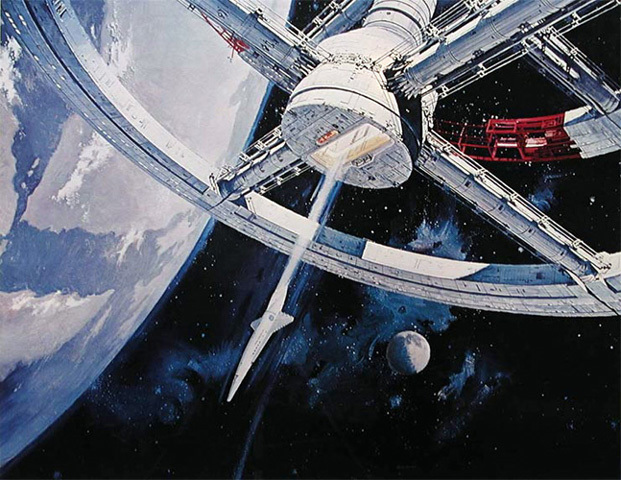 And it wasn't just TV and film; the magazine introduced me to SF authors, too – folks like Arthur C. Clarke, Isaac Asimov, Harlan Ellison, Richard Matheson, David Gerrold, Ray Bradbury. I was first exposed to the artwork of pulp illustrator Virgil Finlay through an article in an early Starlog and Ron Goulart's articles on SF comic strips gave me my first exposure to Alex Raymond's work on Flash Gordon. As I've said before, my Favorite Episodes are just that - my favorites. They're not necessarily the best episodes of the series in question; for that matter, they may not even be good ones, by most standards. But, for some reason or another, these are the ones that enjoy watching over and over, and somehow, never tire of them. 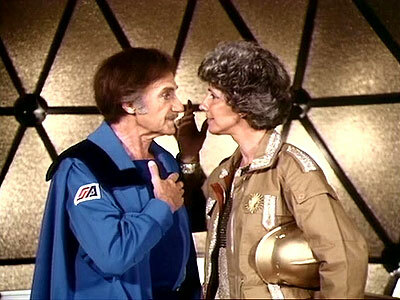 One such favorite is the 1977 Space Academy episode, "My Favorite Marcia." 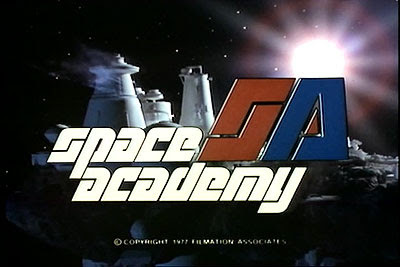 Set in the "star year 3732," the Saturday Morning series Space Academy, produced by Filmation Studios, chronicled the lessons and adventures of "Blue Team," a group of young cadets stationed at the titular educational institution. 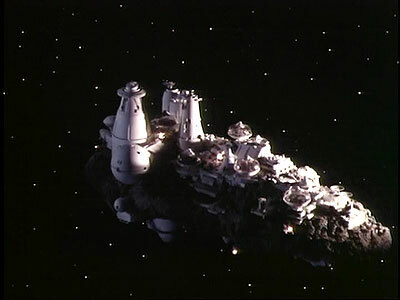 Uniquely, the Academy was built on and into an asteroid, and was commanded by the 300 year-old Commander Isaac Gampu, portrayed by the great Jonathan Harris. 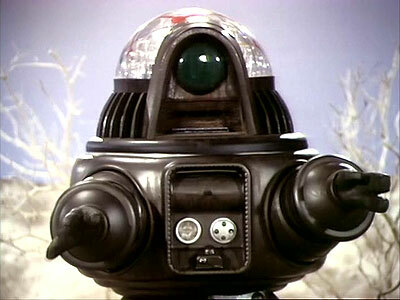 Harris is best known to sci-fi fans for his role as Dr. Zachery Smith on the 60s Irwin Allen TV series Lost In Space. 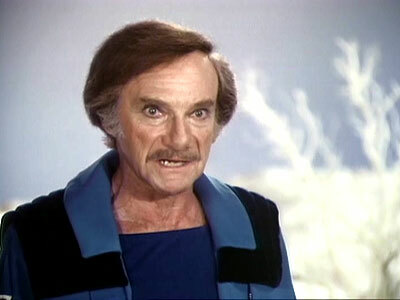 The year before Space Academy, he had made two guest appearances on Filmation's Ark II, and would follow up Academy by providing the voice of the charmingly snide Cylon cogitator Lucifer on Battlestar Galactica. 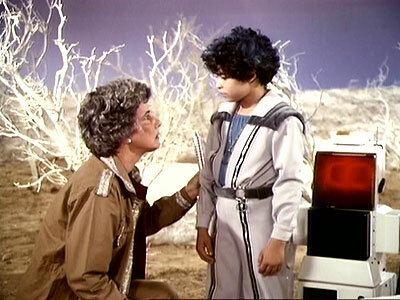 "My Favorite Marcia" is different from most of the other Academy episodes in that it is primarily a showcase for Harris, and his character, Isaac Gampu. 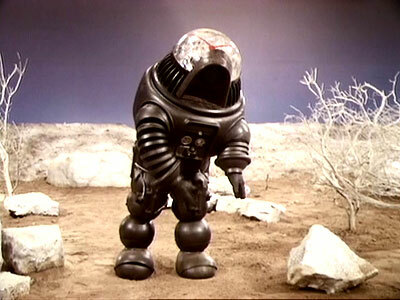 In fact, it is in this episode that we actually learn the character's first name (no doubt a homage to science fiction author Isaac Asimov)... among other things. 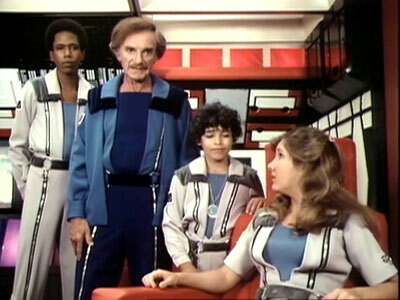 As the episode begins, we find Commander Gampu and most of Blue Team aboard one of the Academy's Seeker shuttles, observing a white dwarf star that's due to go nova. While they are discussing the upcoming celestial light show, they receive a distress signal from one of the planets orbiting the doomed star. 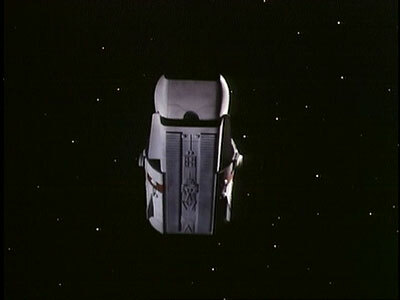 Being galactic good guys, they are obligated to investigate the signal and attempt to rescue the sender(s). 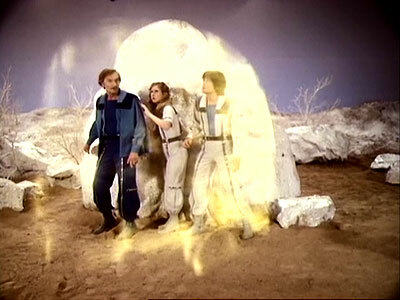 They land on the unnamed world, and Gampu takes cadets Laura Gentry and Tee Gar (Pamelyn Ferdin and Brian Tochi - both of whom had appeared in the third season Star Trek episode, "And The Children Shall Lead") with him to search out the source of the signal, while ordering Paul (Ty Henderson), Loki (Eric Greene) and robot Peepo to stay aboard the shuttle and return to space, in order to scan the planet from orbit. 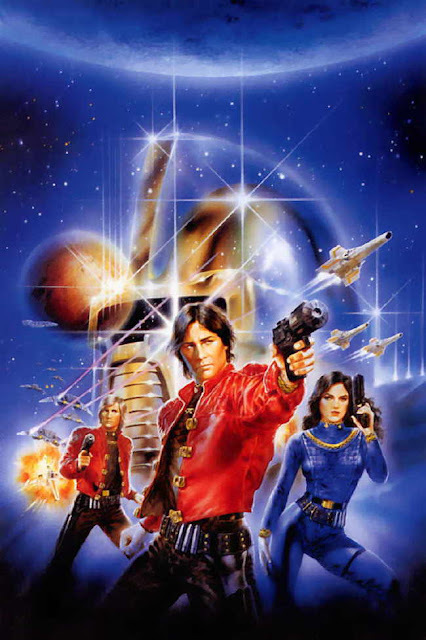 Gampu, Laura and Tee Gar find the distress beacon, and Gampu recognizes the name of the ship stenciled on its side - Sunbeam... commanded by one Marcia Giddings (Dena Dietrich), an independent space trader with whom the Commander has some history. "Dear Marcia always had the happy faculty of being in the wrong place at the wrong time..."
"Well, Marcia, we meet again." "I find you as I last saw you: on the brink of disaster. What havoc have you wrought this time?" "You've got your right shoe on your left foot again. It's you that's causing the trouble, not me." "You haven't changed one iota!" "Oh, yes, I have. I've come into the full flower of my womanhood." "You haven't changed either. Pity." 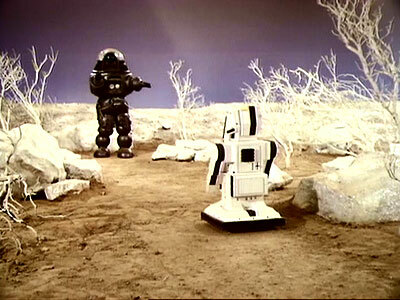 Using Peepo, they first communicate with the automaton, which is, according to Peepo, "...not a true robot, but a war machine." 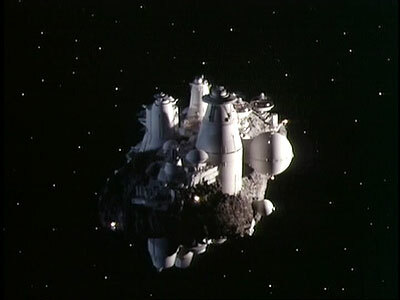 How this engine of destruction (which so far has only exhibited some decidedly non-lethal force field technology - amusingly accompanied by a "bionic" sound effect!) came to this otherwise uninhabited planet, is never explained. Anyway, Peepo determines the bot's control frequency, and using the Sunbeam's distress beacon to send a signal, they shut the brute down. 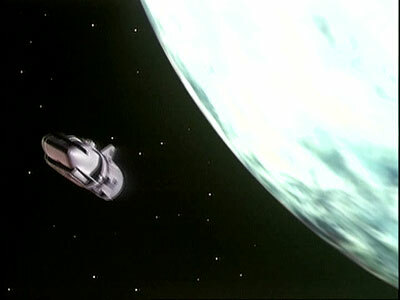 Paul arrives in the Seeker, and they all escape the planet just in time to watch the sun go nova. 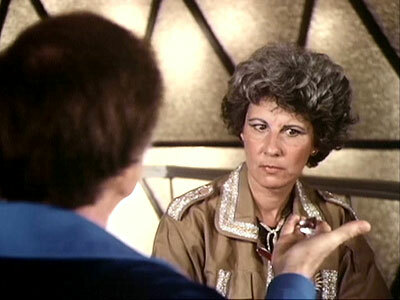 Back at the Academy, Gampu and Marcia exchange some bitingly sarcastic - but clearly affectionate - repartee before the Commander gifts her with a huge diamond that he happened to pick up back on the planet. "You are a doll, Isaac." "Never, never call me that." "Three hundred years old and still acting like a baby over that name? It is yours, you know." "When, when, dear Gampu... when are you ever gonna loosen up?" 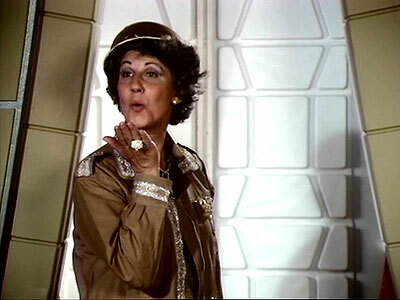 "Madam, I am as loose as I intend to be!" That may be the most in-depth synopsis I've written for one of these essays yet, and it's funny, because this is an insanely simple plot, as befits a show aimed at ten-to-thirteen year-olds. 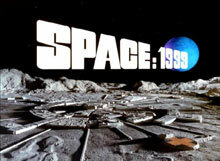 And it's not even the story that makes this one of my favorite few episodes of Space Academy. No, what makes me enjoy it so much is the undeniable chemistry between Harris and Dietrich (who was familiar to me even in '77 from those margarine commercials where she played "Mother Nature"). The back-and-forth between these two old pros is just delightful (I particularly love it when she keeps referring to geezer Gampu as "sonny.") to watch & listen to. Also, as a regular viewer then/fan now, it's a favorite because it hints of an intriguing history for the Gampu character beyond the established curmudgeonly grandfather/headmaster that we'd seen every other week. The idea that this ancient geezer had once been in love - and, clearly, it was a passionate, tempestuous relationship - showed a whole new side to the character. I probably didn't appreciate it when I was 13, but I do now. 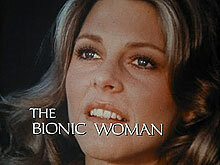 Finally - and you knew this was coming - "My Favorite Marcia" ranks high with me because, well, Robby the Robot is in it. 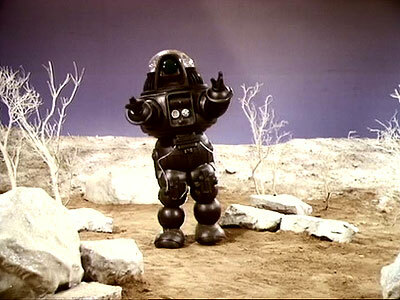 Sure, he's wearing a different head, but it's still my best 'bot Robby, playing the heavy for a change. 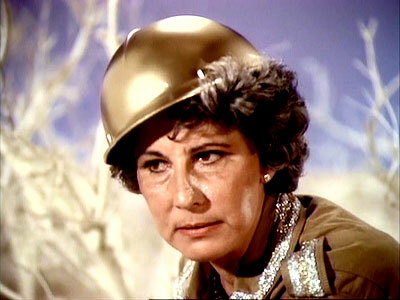 Yeah, it would be nice if there had been some more outer space/spaceship stuff (too bad they couldn't have afforded to build a miniature of Marcia's wrecked Sunbeam on the planet's surface), or if they'd managed to actually explain the existence of the warbot (perhaps a remnant from the "Vegan Wars" mentioned in an early episode? 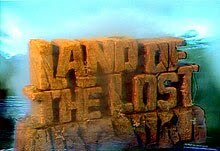 ), or had a few more scenes with Maggie Cooper in her miniskirt... but it's still a pretty decent kid's adventure story, and the character stuff between Gampu and Marcia is great. And hey, I even get a smile out of the punny title. I have fond memories of these Power Records comic book/audio adaptations of the Planet Of The Apes films (except Conquest - no doubt because it was so much darker and more violent than the others). Unfortunately, I no longer have any of these, dammit. I don't know who the artists were; most of the Power comics were prepared by Neal Adams' Continuity Associates, but they actual artists were uncredited. I specifically recall getting the Escape book & record at our local K-Mart one Summer afternoon and being really anxious to get home to read it and listen to the accompanying audio dramatization on its 45 RPM record. 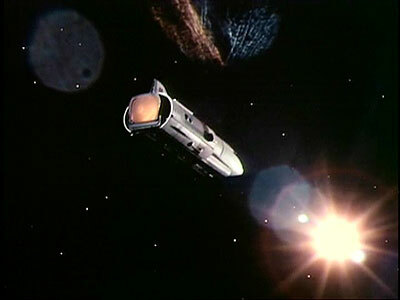 I remember that the Escape adaptation opened with a drawing of Taylor's spaceship in orbit over the Earth as the Alpha/Omega detonation turned it into a huge ball of fire. When I finally saw the actual movie, I was disappointed that it opened with the capsule already having splashed down. 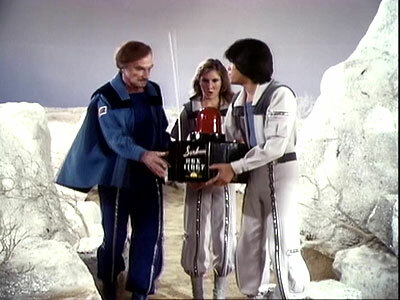 I really need to post more about Power Records - their Star Trek, Space: 1999, POTA and Bionic book & record sets were so much a part of being a 70s Star Kid. 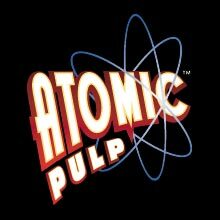 There are several sites on the web where you can find MP3s of the records and pdfs of the comics. I like The Power Records Plaza, myself.